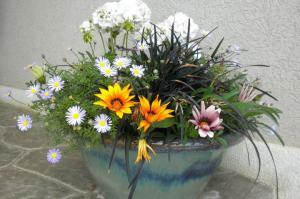 Mini landscapes - container plantings bring life and color to any deck, porch or step. I love getting a beautiful glazed urn and making it the centerpiece in a planter. The Ardent Gardener, Huntsville, UT | Powered by Mantra & WordPress.